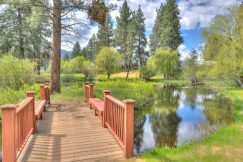 Discover residential real estate in Montana and The Bitterroot Valley here! 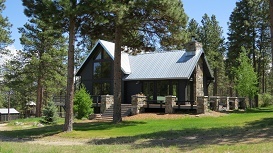 Discover Residential Real Estate in Montana here! 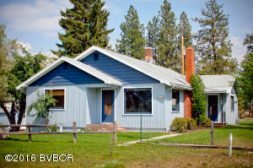 If you are looking for a new home in Western Montana and The Bitterroot Valley, you are in the right place! Check out the listings below, and feel free to contact me directly for more information here. Price Reduced. 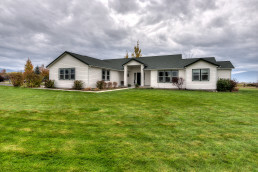 Beautifully remodeled and maintained cottage style home in the heart of Corvallis. Bright and cheery floor plan with lots of natural light. The yard is meticulous and fully fenced with mature landscaping, hardscape, arbor and easy to maintain landscaping. Included are stainless steel appliances, metal roof, good storage, gas oven/ range and washer dryer. In move in condition. VA loan on the property now. Rustic ranchette nestled between mature landscaping in a picturesque setting. Relive the ”wild west”at this 3.299acre mini-ranch. GUESTHOUSE, milk barn, two car garage, shop/utility building and lean-to. Main residence has wood burning fireplace, private dining, large kitchen, basement, hardwood flooring, utility room and tons of storage! Saddle up partner and come take a look at this gem! 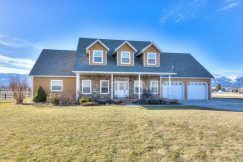 Well maintained single level home on .91 acres offering mature landscaping and a park like setting. Ideal location close to school and downtown. Newer roof, new back deck, granite and butcher block kitchen countertops, central air conditioning, fenced garden area and fenced dog yard. At the end of a cul-de-sac offering a quiet and peaceful place to call home. 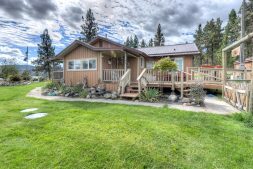 Well maintained single level home on 1+ level acres in the northern Bitterroot Valley. Recent improvements include new hard surface flooring, granite slab countertops in the kitchen and bathrooms, kitchen tile backsplash, new stainless steel appliances including a gas oven/range, new plumbing fixtures, additional underground sprinklers, fencing and a new well! 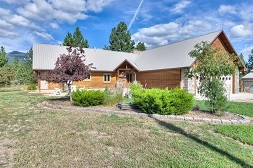 The home is located in the popular Bitterroot Valley Estates and offers an easy commute to Missoula. 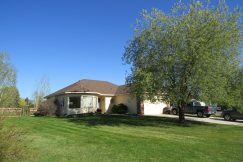 Well maintained single level 2028 sq ft home on 3.48 private irrigated acres. The property has a seasonal creek and pond with mature landscaping, underground sprinklers, fenced in garden area and lots of native birds and wildlife. The home offers vaulted ceilings with lots of natural light, open and spacious kitchen, living room and dining area, 3 bedrooms and large family room. There is a 30 x 45 insulated shop with wood stove and attached 30 x 12 covered storage area. This well priced property is an easy commute to Missoula and the four season recreation Montana is famous for. Price substantially reduced!Custom built farmhouse style home thoughtfully designed. 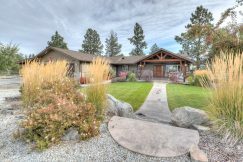 Located on 4.9 usable acres – the residence captures the views of the snow capped Bitterroot Mountains and Valley. The home is located at the end of a cul-de-sac offering privacy and security. The land has water rights, 2 wells and underground sprinklers. 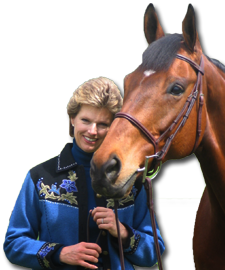 There is plenty of room for your horses and local trail riding is very close to the property. Custom log home + fully finished shop + substantial price reduction + motivated sellers = GREAT OPPORTUNITY for buyers!! 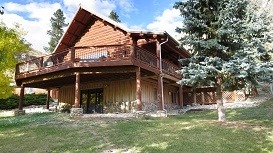 Fully and tastefully remodeled log home on 2.5+ view acres conveniently close to Darby and all recreational activities. The home utilizes solid hardwood doors, maple and pine floors, volume ceilings, cozy wood burning fireplace in the great room, gas fireplace in the main floor master bedroom, fully finished garage, large entertainment deck, hot tub and yes – a fully finished shop! No covenants. 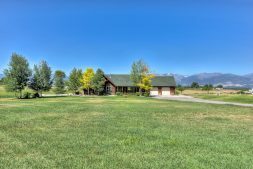 This well priced property is perfect for either seasonal or full time living offering the best of Montana living. 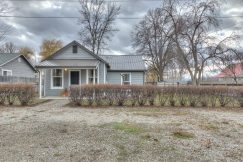 Located on the west side of Hamilton this fully remodeled home offers the best of Montana living. The main residence is all on one level and includes 2 well sized bedrooms, large living room with pellet stove, separate dining area, screened in entertainment porch, cozy sun room, lovely kitchen with newer appliances and bright laundry/mud room. 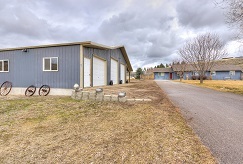 There is a separate one bedroom guest home, shop and attached barn, separate hobby house, chicken coop, fenced and cross fenced pasture and fenced in garden area. The property is adjacent to a large ranch with a conservation easement so the majestic pines and green meadows are a natural view amenity. The property is in pristine and move in ready condition with new metal roofs, underground sprinklers and fencing. This is price to sell and a must see!. Well built hand hewed log home on 20.01 private acres with multiple irrigation rights, good well, separate large shop and guest dry cabin. The home offers vaulted ceilings, wrap around entertainment deck, master bedroom on the main floor, solid wood floors and abundant wildlife.Located at the gateway to the Skalkaho/Pintlar recreation area. No covenants. Located on 1.21 scenic acres you will find this well designed and built home close to the Town of Hamilton. Quality finishes include solid cherry floors, cabinets and stair case, granite slab countertops, stainless steel kitchen appliances plus an open entertainment bar with wine refrigerator. There are two bedrooms on the main floor including the master suite and two additional guest bedrooms on the second floor with central gathering area plus an extra large hobby room. Historic farm on 17+ acres with multiple water rights, artesian well, updated 3 bedroom farm house, 6 stall horse barn, larger barn great for hay storage, 2 stall indoor/outdoor shed, automatic waterers, multiple septic approvals, no covenants and gorgeous views. The property is in two adjoining parcels with plenty of room to build a second residence. Call for a complete package. 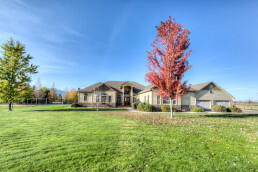 Pristine home on one level with high end finishes throughout. 3.14 level acres with year round Coal Pit Creek on west boundary. Home offers knotty alder cabinetry, granite countertops, 12 x 12 slate floors, large separate master suite complete with oversize step in shower, central air conditioning, central vacuum system, underground irrigation, expansive back patio and extensive landscaping.The triple garage is fully finished with ample room for storage. Mature landscaping with lovely garden area. The residence offers a wonderful blend of traditional design and materials with a warm contemporary flair. High cathedral ceilings, massive timber beams and accents, bamboo floors, cast concrete counter tops, native rock wood burning fireplace and inviting great room captures the ambiance of Montana living. On 20.29 timbered acres you will thoroughly enjoy the charming fenced perennial garden complete with hammock, enchanting tree house, large shop with attached one bedroom apartment, riding arena, and barn/storage building. There is a year round creek on the north boundary of the property. The BITTERROOT RIVER!!! Located on 10+ level acres with NO COVENANTS is this very special residence. 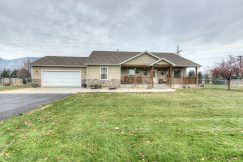 The single level ranch style home offers 4 bedrooms, open concept living, dining and kitchen area with fireplace, large office/hobby room, central air and entertainment deck. The second building is the ULTIMATE entertainment pavilion complete with full kitchen, wet bar, beer taps, full bath and guest quarters. The third structure is a full size shop with side sheds. 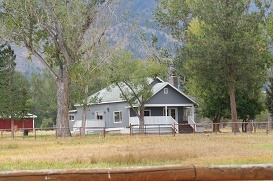 The property is well maintained and backs to the Bitterroot River with easy fishing access. 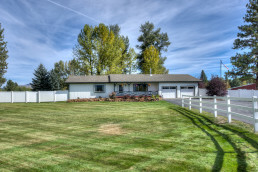 Horses are ok and there is plenty of pasture and room for an arena..
Just Reduced! A very rare offering in the middle of the Bitterroot Valley! Located on 5+ waterfront acres Big Creek Hideaway is a gem. Well built 3 bedroom traditional home and separate guest apartment overlooking a large pond ready for trout and Big Creek rushing by on the eastern boundary. This elegantly presented Arrow Hill home offers single level living on 4+ irrigated acres with vaulted and high ceilings, formal dining room, spacious living and family rooms with fireplaces, master suite, office, secondary bedrooms and large recreation/hobby room. Included are two separate shops. 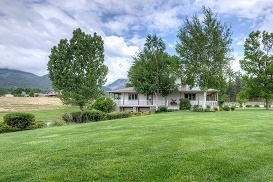 Exceptionally well maintained home on 5.45 scenic acres in Stevensville. The home offers tasteful finishes, custom cabinets, granite countertops, gas appliances, wine refrigerator, master suite on main floor with oversized walk in closet, full walk out basement, robust shop for all of your Montana toys, fully contained guest home above the shop, indoor/outdoor barn, garden area, fully landscaped with underground sprinklers and a 35 gpm well!. Imagine waking up to sweeping views of the Bitterroot Valley and snow capped mountains. You walk a few steps to your home office and telecommute to your place of business. Then off to fly-fishing on the blue ribbon Bitterroot River which is just minutes from where you live. Welcome to Moondance Lane. This tastefully presented log sided home, on 9.65 irrigated acres, features a gorgeous gourmet kitchen, adjacent great room with timber and stone accents, volume ceilings, cozy fireplace and formal dining room.